Whether it’s working up a sweat in your superyacht gym or whiling way the time on board your private jet, a great pair of headphones is an essential piece of kit for any vacation. Make sure you invest in the perfect pair with our edit of the best luxury headphones to buy now. Billed as the world's most expensive headphones, Sennheiser's HE 1 headphones are the successor to the super high-tech Orpheus model and are the result of nearly a decade of research and testing to provide the finest audio experience possible. 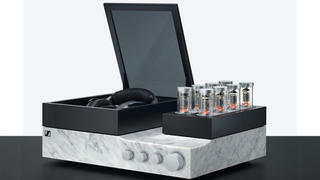 Handcrafted at Sennheiser's German headquarters, the HE 1 headphones feature a high voltage amplifier built into the ear cups and an external amplifier on a glass and marble housing to both prevent structure-born noise and provide a stunning finished product which boasts just a 0.01% sound distortion level. 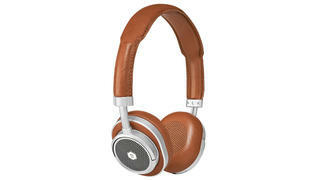 If it’s utter luxury you’re after then look no further than Master & Dynamic. 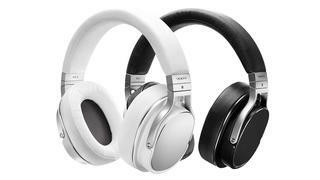 The American headphone brand recently introduced its first pair of wireless on-ear headphones combining the company's signature high-end aesthetic with complete practicality. Crafted in stainless steel and premium leather, the MW50s boast a signal range three times greater than the industry average as well as a 16 hour battery life, folding ear cups for easy transportation and a lightweight design that weighs a third less than similar Master & Dynamic models. 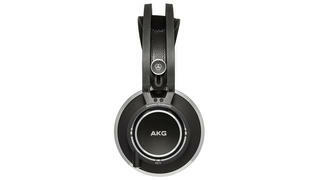 Designed with the professional studio production and live sound engineering market in mind, AKG’s new K872 headphones are ideal for those who prize crisp, clear sound and ultimate noise cancelling capabilities over flashy aesthetics. Among the headphone’s high-tech gear is a 1.5 Tesla magnet system delivering pristine sound, slow retention ear cups for supreme comfort and a low-profile carry case that doubles as a stand for protection and ease-of-use when on the move. Weighing in at just 285g Oppo’s new PM-3 closed-back planar magnetic headphones are the lightest on the market making them perfect for hopping between Mediterranean yachting destinations. The headphones utilise a super thin diaphragm and highly sensitive magnetic system and conductor pattern to result in a natural, balanced sound without the weight drawbacks of traditional planar magnetic headphones. Over-ear headphones may look cool but there’s no denying their bulk can be a little impractical in the gym. Long regarded as one of the finest audio technology brands, B&O Play has just released its first wireless sports headphone – the H5 – and they’re well worth the investment. 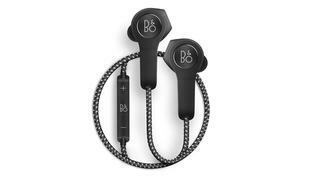 Along with being both sweat and dust resistant, the headphones come with a range of interchangeable ear tips for the perfect fit, an eight hour battery life and magnetic clasping system which both allows you to wear the headphones around your neck and automatically powers them down when not in use to prevent battery wastage. 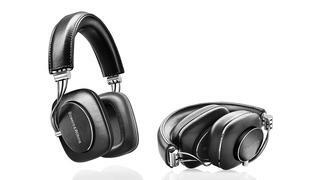 Billing them more as portable speakers than standard headphones, Bowers & Wilkins’ P7 over-ear headphones are the product of the brand’s 50-year history creating cutting edge hi-fi equipment. Powered by a new speaker-style driver, the P7 offers a more precise, controlled sound along with clever design features such as easily replaceable cables, snug leather earpads and a hinging design for easy storage.